The Newport H2 Sandal is what would happen if the KEEN Targhee shoe ate a KEEN Portico Flip; the two would magically morph into a pair of Newports. No matter the sport—even for everyday wearing—the Newport Sandal is the perfect solution that combines comfort with functionality. 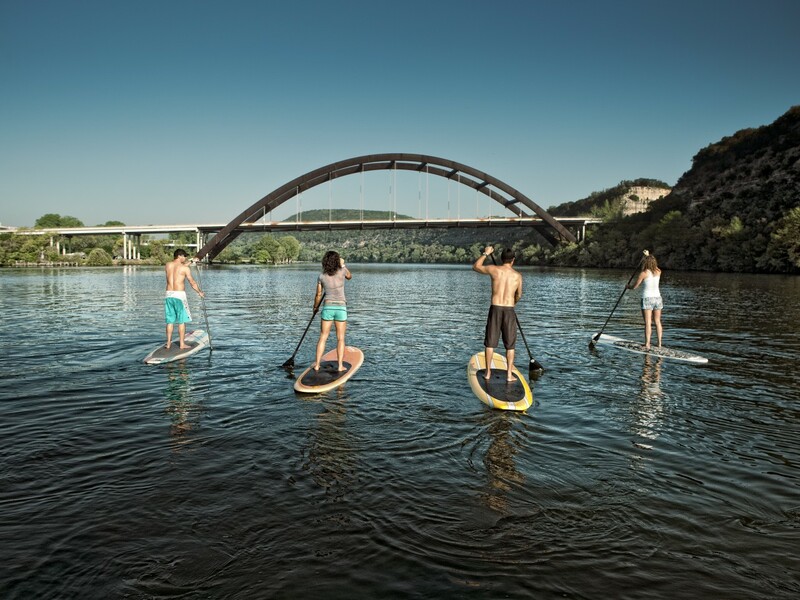 Simply put, the KEEN Newport is the answer to the numerous “river-to-trail” challenges: when stand up paddleboarding quickly becomes a day of bouldering (and vice versa). I’m not the kind of guy that wears a sandal. I have my “go-to” flips, but a full sandal is a big commitment for me. In my opinion, most sandals look goofy; I can’t help but think of a scene involving a bunch of dudes in togas—wearing their silly leather sandals—sitting around discussing philosophy. However, if these dudes were wearing Newports, they would be ready for a day of canoeing the Aliakmonas River and then hiking Mount Olympus. During my recent retreat to Rosemary Beach, Fla., for a little “R and R,” my Newport sandals represented the only footwear I bothered to pack. On the beach and in the surf, they performed flawlessly and didn’t become dead weight on my feet—after being drenched in saltwater and sand. During our Florida vacation, my kids wore their Newport sandals with pride—my wife included. Ultimately, they became handy when hiking over the sun-drenched sand and toasty sidewalks. Spending time near the waves and then touring Rosemary Beach called for the Newports’ versatility and dependability. There was no whining with the Newports in charge. The AEGIS microbe shield treated hydrophobic mesh lining and polyester webbing upper have remained intact, and they still hold up to a lot of “wet and dry” situations—no matter the sport of choice (aside from snowshoeing, of course). The Secure-fit Lace Capture System with added hook and loop adjustability still perform reliably and without fail. My favorite feature on the Newport sandal is the patented, KEEN-branded toe protector. 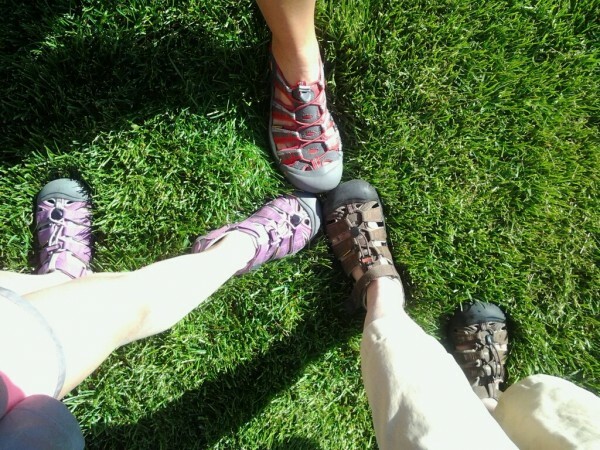 Like most of KEEN’s shoes and sandals, the mighty toe protector escalates each pair to a level where rugged and active pursuits are no match for its dependability. I’m sure there are millions of toes—protected from all kinds of mayhem—that would gratefully thank KEEN for its innovation and ingenuity. I know mine do. For more information on the KEEN Newport Sandal for kids, visit http://bit.ly/MXlYuo. For the men’s Newport, visit http://bit.ly/MXm3hK. For the women’s Newport, visit http://bit.ly/MXlK6v. 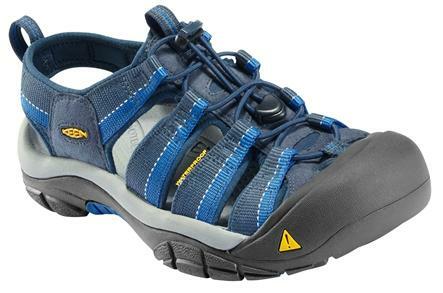 To purchase the KEEN Newport sandal: Men’s – http://bit.ly/Pb2SmF, Women’s – http://bit.ly/Pb3j0c, Kids – http://bit.ly/Pb3Gbg.